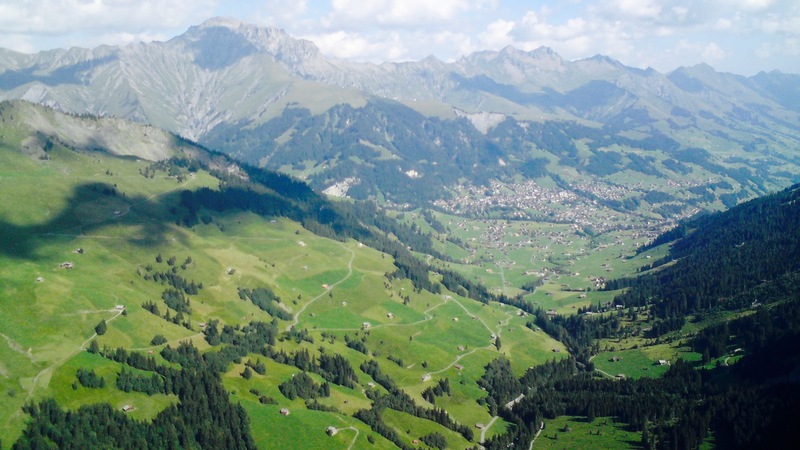 How much do you really know about Switzerland? Below, we’ll look at 5 popular myths about Switzerland, and explore the true stories behind them. Do you know the true background behind these misconceptions? Read on to find out! What language do Swiss people speak? If you said German, you’re wrong – the standard High German spoken in Germany is a foreign language in Switzerland. The Swiss actually speak a dialect called Schwyzerdütsch, or Swiss German, an unwritten language that for the average German is impossible to understand, or about 10 times harder than a Londoner trying to understand a thick Geordie accent. There’s even local dialects of the Swiss German dialect, adding to the confusion. And good luck trying to read this stuff, too. While signposts, books, magazines and anything official are written in Standard Swiss German, which is largely the same as standard German, Swiss people writing to each other informally on social networks will write out words phonetically in Swiss German. Secondary school German lesson’s won’t get you very far here! Even then, only around 64% of Swiss people speak Swiss German, mostly in the north and central parts of the country. 22% speak French, mostly in the West, 8% speak Italian, in the south, and finally 0.5% or just 40,000 people, speak Romansch in a few isolated villages in the middle of the Alps. While English is widely spoken in the more touristy areas, it’s a good idea to check what the local language is in the towns you’re travelling to and learn a few common phrases. Switzerland is known for it’s skiing, which is why it’s often associated with snowy mountains and ski runs, but what does it look like in the summer? Surely in the mountains it must be cold all year round? This is another common misconception – in the summer it can get hot, even in the Alps. In fact, in the south, there are more than 300 days of sunshine on average each year, with July temperatures averaging 26ºC. You’ll even find palm trees lining the shores of Lake Lugano! While some of the highest mountains have snowy peaks all year round, the valleys can get relatively hot in the summer. In fact last time I went to Adelboden in 2009 the temperature averaged around 25-30ºC for the entire week. Many of the bigger towns in the alps have outdoor swimming pools as a result, which surprisingly are mostly unheated. Switzerland in the summer is actually the perfect place for anyone into extreme sports, such as canyoning, climbing, paragliding, river rafting and much more. One of the best hotspots is Interlaken, where you’ll be able to take part in all these activities, plus much more. Ask most people where cuckoo clocks come from, and chances are they’ll say Switzerland, which is wrong. They’re actually from the black forest in Bavaria, first created some time in the 1740s. The reason why they’re associated with Switzerland is that in the early 1900s, some Swiss manufacturers made their own version of the cuckoo clock, based on the style of a Swiss chalet – not to be confused with the earlier Bavarian or Black Forest chalet styles, which look almost identical. So somehow, the Swiss knockoff became more widely known than the real thing. Now, you might travel to Switzerland and think this is untrue, as you’ll likely see cuckoo clocks sold in some of the popular tourist towns. “Cuckoo clocks must be Swiss, or why would they sell them?” Yes, souvenir shops in Switzerland do sell them, but only because so many people incorrectly think they are Swiss! Fondue for the main and Lindt chocolate or swiss roll for desert, right? Wrong. There’s plenty of traditional Swiss food aside from fondue, which was invented as a way for eating bread and cheese in the cold winter months in the alps. One of my favourite swiss foods is rosti, which is thinly grated potato squeezed together and pan fried. Traditionally eaten for breakfast in the canton of Bern, you’ll now find it served with a range of meals at any time of day. Swiss food also has a strong Italian influence, especially if you visit the canton of Ticino. Here you’ll find polenta on the menu, a cornmeal dish cooked into porridge. It’s usually used as an alternative to mashed potato or pasta. Of course, some stereotypes are grounded in reality, and there are plenty of other cheese based-dishes out there, including Raclette. Along with a fondue set, most Swiss families will have a Raclette grill, where slices of Raclette cheese are melted under and then smothered over boiled potatoes, pickles, dried meats and gherkins. Switzerland might be neutral, but that doesn’t mean they’re not ready to defend their country. They’re actually armed to the teeth. Unlike the UK and the majority of western Europe, Switzerland has a massive conscript army requiring all men to undertake military training, with 1.8 million men a . They also have a standing army of 147,000 active troops, which is just 10,000 less then the UK! Not only that, pretty much every home in the country has a weapon in it, as Swiss conscripts take their guns home with them. Switzerland actually has the 4th most guns per capita in the world, coming behind the USA, Cyprus and Yemen – surprising for a neutral country! As well as having a population ready to take up arms at any moment, the entire country can be converted into a massive Alpine fortress should it be invaded. Since the 1880s, the military had worked to a planned called the Swiss National Redoubt, whereby the population would move into the heavily fortified mountains to defend from foreign invaders and fight a guerrilla war. That means almost all transport infrastructure is rigged to blow. Bridges have dynamite in them at specific locations so they can be blown up at a moment’s notice. Mountains are hollowed out and turned into secret barracks, accessible through dummy ski chalets. Naval guns are camouflaged among the landscape around major strategic points such as dams or air strips in the valleys. Tunnel entrances can be sealed quickly while the enemy passes through, trapping them inside and then blowing them up. There are many more misconceptions and myths about Switzerland. Are there any others you can dispel? Let us know in the comments below!